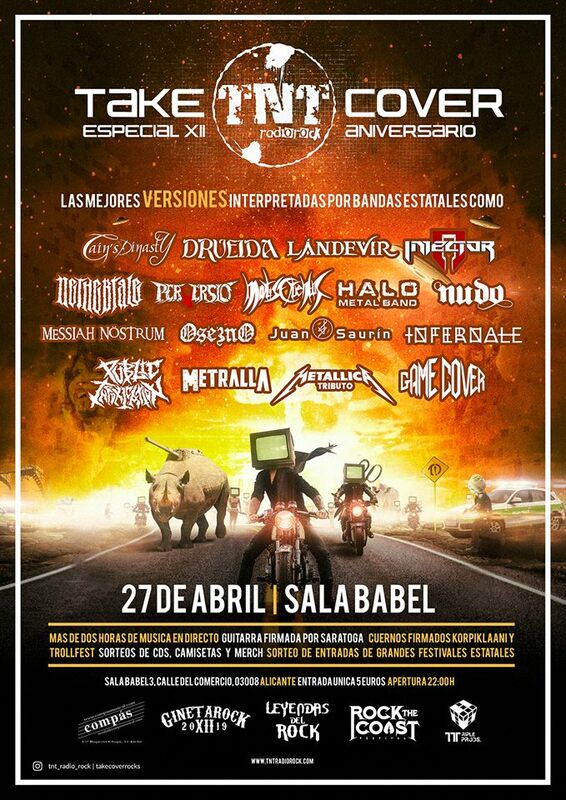 🇪🇸Este próximo 27 de Abril, estaremos actuando con motivo de la celebración del 12º aniversario de TNT Radio Rock en el festival “TNT Radio Rock Take Cover“. Habrá sorteos de entradas para festivales como el Leyendas del rock y Rock the Coast entre otros. También se sortearán CD’s y camisetas. El evento tendrá lugar en la Sala Babel de Alicante (C/ Del Comercio 10, 03008 Alicante), la entrada tendrá un precio único de 5 euros la cuál se podrá obtener en taquilla o en Black Market de Alicante y la apertura de puertas es a las 22:00 h.
🇬🇧This coming April 27, we will be performing on the occasion of the celebration of the 12th anniversary of TNT Radio Rock in the “TNT Radio Rock Take Cover” festival. 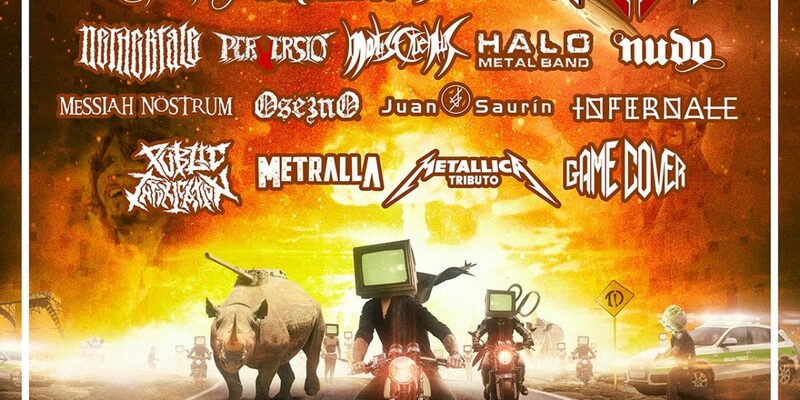 There will be raffles for tickets to festivals such as Leyendas del Rock and Rock the Coast among others. CDs and T-shirts will also be raffled off. The event will take place in the Sala Babel of Alicante (C / Del Comercio 10, 03008 Alicante), the entrance will have a unique price of 5 euros which can be obtained at the box office or in the Black Market of Alicante and the opening of the doors It is at 22:00 h.
Previous Previous post: ¡Cain’s Dinasty a la final de W:O:A Metal Battle Spain!